This Land Rover Discovery had seen some off road use and was in pretty average condition, covered by all that dirt and grime was moderate swirl marks, some slight bird poo damage and water etching. A Stage Two Machine Polished was performed to completely remove the swirl marks and water etching over a total of 11 Hours, the process for this was Exterior Wash, Clay Bar treatment to remove any contamination, Machine Polish with a Orange Hydro Polishing Pad on a Rotary Polisher with Optimum Polish II, then finished with a White Kompressor Polishing Pad on Flex Random Orbital Polisher with Optimum Finish, for paint protection DP Max Wax was used to seal the paint work and really make the metallic stand out. 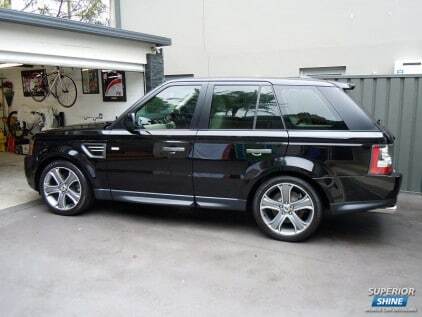 This 2 year old Range Rover Sports was up for sale and needed a Full Detail with a Stage One Paint Correction to restore it back to immaculate condition, the paint work had light swirl marks and water spotting. The product used to remove these defects in the paint work was Optimum GPS (Glaze, Polish, Seal). 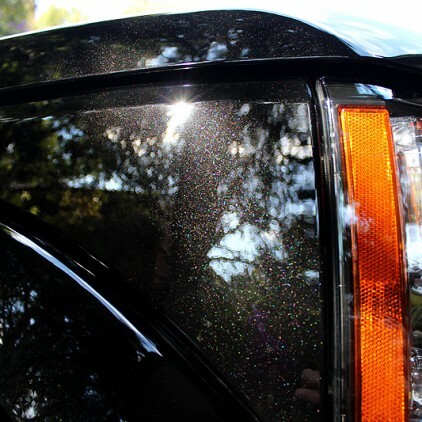 Optimum GPS does not fill the swirl marks when used with a machine polisher and has micro fine abrasives to permanently remove defects in the paint whilst leaving a mirror finish and protection to protect the paint work, we use high intensity LED lights to spot defects in the paint work which will make spotting things like swirl marks, holograms, scratches, and marring much easier and ensure a defect free finish. The interior was also thoroughly detailed with the leather trims treated with Optimum Leather Protectant. Total time taken to complete this job was 6.5 hours. 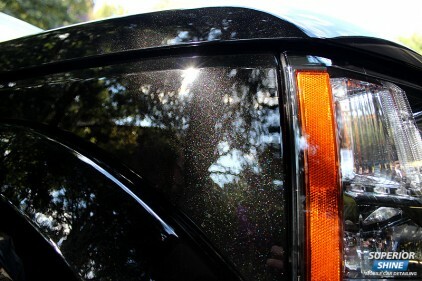 A lot of people ask what the difference is between a Stage 1, Stage 2 and Stage 3 Paint Correction (Machine Polishing). And if you are a detailer or enthusiast, you probably already know that this refers to how many pad/polish combinations that we use to complete a job. We also get a lot of calls from people who are against machine polishing because they have been stung by detailers that have done a poor job and left their paint work looking worse then when they started by leaving buffer trails and burning through the paint. 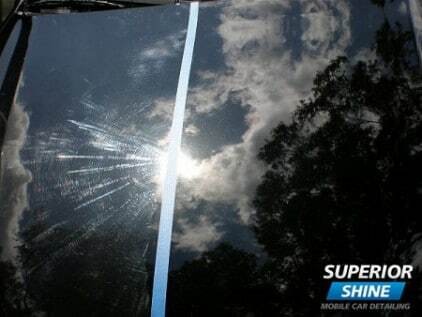 This is caused by the so called detailer using a polish and pad combination that is too aggressive and burning through the paint work (you can not remove swirl marks and scratches and finish the paint down pefect in one step). Unfortunately for this Subaru Liberty it had seen better days, the paint work had heavy swirl marks, light scratches, was left looking dull from all the years of incorrect washing, taking it through automatic car washes and the lack of regular polishing and waxing. The owner contacted us to perform a Stage 2 Paint Correction to restore the paint work to a flawless finish with a deep gloss, it took around 8 hours to transform the car from its poor scratched up state to a level where it looked better then the day it came out of the showroom. This Black Ford XR6 unfortunately suffered from overspray from a nearby factory and severe swirl marks from years of incorrect car washing. It once had a nice deep gloss but years of neglect had this car looking dull, lifeless and covered in swirl marks and scratches. A Stage 2 Paint Correction was performed on this car over a total of 6 hours, an hour and a half was spent clay barring the car for overspray removal, clay bars are like play dough and are rubbed over the surface with a lubricant, clay barring removes any contamination embedded on the paint work to give it a smooth as glass feel before polishing the paint work. Unfortunately like a lot of cars this near new black Toyota Corolla has fallen victim of the car wash café and their poor car washing techniques, after several trips to the car wash café the owner has noticed the paint no longer looks as good as it once did and is now covered in swirl marks and light scratches and lost its gloss. Unfortunetly like most red cars, especially earlier models with single stage paint over time they tend to become dull and life less and require a good polish/wax every few months to maintain their appearance not just a quick wash every few weeks, this Honda Integra is a perfect example. 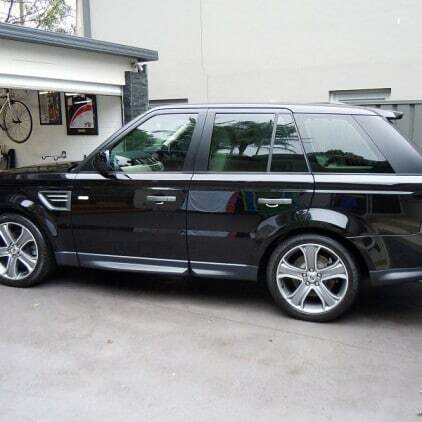 A Stage 2 Paint Correction (Machine Polish) was done to bring the gloss and colour back, a service like this on a vehicle in this condition can be expected to take up to 6-8 hours using different polishing pads and polishes to restore the dull paintwork back to a high gloss finish without leaving buffer trails like inexperienced car detailers. 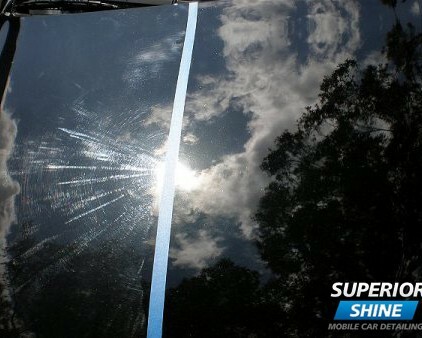 Here at Superior Shine Mobile Car Detailing we offer a unique Paint Correction service, unlike many detailers and car wash cafe’s that advertise a cheap “Cut n Polish” we want our customers to understand the time and skill it takes to get a flawless finish on your paint, whilst there is many different names you can call it such as Buff, Machine Polish, Cut Back, Cut n Polish we prefer to use the term Paint Correction as our polishing service is unique.